Kubrat Pulev found a way to survive the worst moments of an eventual 7th round knockout of Bogdan Dinu, but the lingering damage from his post-fight behavior continues to mount. Until he’s able to clear the air with the presiding commission, what won’t soar quite as high is his immediate boxing future. BoxingScene.com has learned that the veteran heavyweight contender from Bulgaria will be required to appear before the California State Athletic Commission to explain his actions surrounding his behavior during a post-fight interview following his aforementioned ESPN-televised win on March 25 at The Hangar in Costa Mesa, Calif.
Pulev (27-1, 14KOs) concluded an interview with reporter Jennifer “Jenny SuShe” Ravalo by grabbing her face and kissing her on the lips. The video of said moment went viral over the weekend, but with minimal external commentary from either party until Ravalo’s employer, VegasSportsDaily.com issued a statement on Monday condemning the action. In return, Pulev—or at least whomever handles his verified social media accounts—issued a statement of his own, insisting that Ravalo “is actually a friend of mine, and after the interview, I was so elated, I gave her a kiss. Later that night, she joined me and my other friends at my post-fight celebration. Ravalo was relatively silent on the issue until Thursday afternoon, when she spoke at a press conference arranged by high-powered civil rights attorney Gloria Allred, whose services she has retained in seeking action against Pulev. During the session, she insisted to have never before met Pulev prior to last Friday shortly before the pre-fight weigh-in, nor that they were friends or that the kiss—or his allegedly grabbing her buttocks afterward—came with her consent. She acknowledged attending a post-fight party, for purposes of conducting interviews with other boxers (although none have been published as of Thursday evening) and that Pulev didn’t arrive until near the end, at which point she claims he requested the kissing incident be scrubbed from her eventually submitted video. The extent of the charges she intends to file hasn’t been made immediately available to the public. One confirmed item on her list as revealed during a press conference on Thursday in Los Angeles is the demand that the boxer be issued a suspension by and appear before the California State Athletic Commission (CSAC), who oversaw the boxing event but not the incident in question. She didn’t even need an attorney for that demand nor even request it, as the commission has already taken a proactive approach. “The California State Athletic Commission is committed to sanctioning events where people of all gender identities are respected as competitors, reporters, and fans,” Veronica Harms, CSAC Deputy Director of Communications explained to BoxingScene.com upon review of said matter earlier this week. “We take this incident seriously. 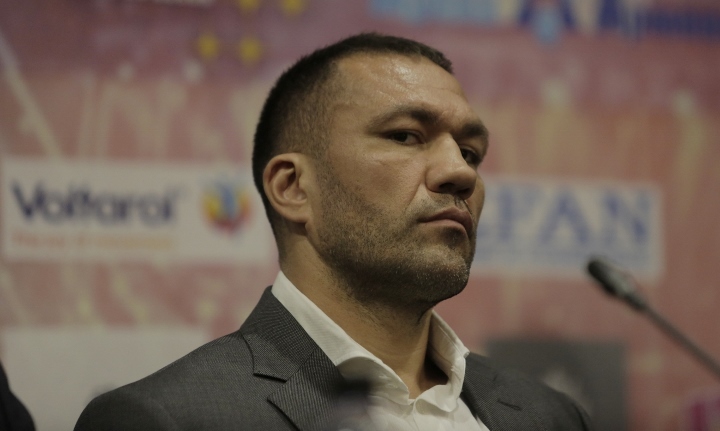 Representatives at Top Rank—who signed Pulev last December and promoted Saturday’s event—declined comment, instead preferring to allow the facts of the case come to light. The next CSAC hearing is scheduled for May 14. Ravalo plans to attend in the event this incident and Pulev’s license status is placed on the commission agenda. Saturday’s bout was Pulev’s first in the United States as a pro, having not fought stateside since the 2007 World Amateur Championships in Chicago. Should any type of action be taken resulting in his being delicensed, it could impact his ability to fight elsewhere in the U.S. or any other governing body under the auspices of the Association of Boxing Commissions (ABC).